The Times of Israel, in its 4 March 2019 edition presented an important historical fact about Albania as the only Nazi-occupied territory whose Jewish population increased during World War II, thanks to the bravery of ordinary families who harbored hundreds of refugees fleeing persecution during the Holocaust. The tiny Solomon Museum, which opened in the city of Berat last year is the symbol of this historical remembrance. BERAT, Albania (AFP) — On a sloped, cobblestone street in southern Albania sits a small shop, empty except for a dozen framed panels on the walls bearing photos and stories from 500 years of Jewish life. 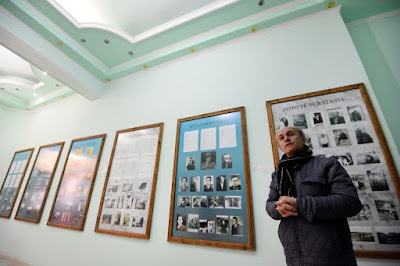 It may be modest but this is Muslim-majority Albania’s only Jewish history museum. And the story it tells is exceptional: the Balkan state is the only Nazi-occupied territory whose Jewish population increased during World War II, thanks to the bravery of ordinary families who harbored hundreds of refugees fleeing persecution during the Holocaust. 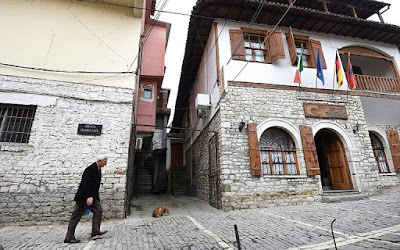 The tiny Solomon Museum, which opened in the city of Berat last year, was a labor of love for local historian Simon Vrusho. But his death last month at age 75 has put its future at risk, with rent only paid through April. Until now he had covered the museum’s costs with his pension and small donations from a box by the door. “Memories need to have their own home,” Vrusho, a wiry man with warm eyes, told AFP, shortly before he died following a heart attack in February. At the center of the collection are the stories of Muslim and Christian Albanians who sheltered Jews in their homes and basements during the Holocaust — a chapter of history that has only recently become more widely known. Thanks to these quiet acts of heroism, the country’s Jewish population surged from several hundred before the war to more than 2,000 afterwards. And, according to Israel’s Holocaust memorial, Yad Vashem, “almost all Jews living within Albanian borders during the German occupation… were saved, except members of a single family,” who were deported and all died except for the father. When asked to explain this history, Albanians will say it lies in “Besa” — a cultural code of honor to “keep the promise” at any cost. “This is my grandfather,” he says, explaining that the Muslim baker took in a Jewish family of three in the early 1940s. “He did not know them before… or have an obligation to shelter them,” he adds. A list of some 600 names of those rescued identifies the European countries they hailed from — many from Balkan cities like Belgrade or Pristina, where Jews were brutally exterminated by Nazi-allied powers. The Albanian families who took them in were “Christian and Muslim, rich and poor,” says a caption taped to the wall. 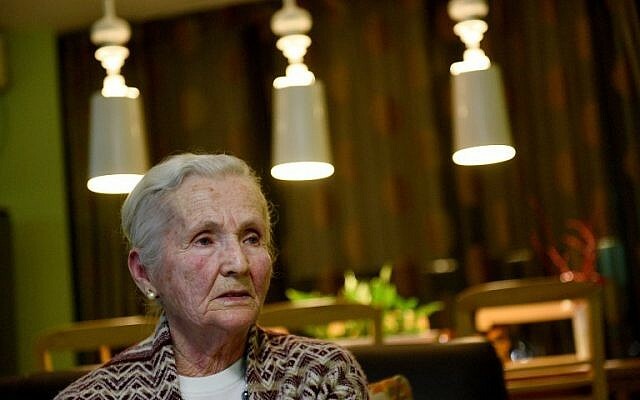 They were “deeply, unimaginably humane” people, recalled Vrusho, an Orthodox Christian who spent years interviewing Berat elders for their stories. Today, Albania’s Jewish population is nearly nonexistent, with fewer than 100 living mostly in Tirana. “We are not yet free of our fears,” she says, of the terror that has stuck with her decades later. “When the Nazis passed through the village… our host family hid us in the mountains, in a cellar until the danger had passed,” she told AFP, welling with emotion. 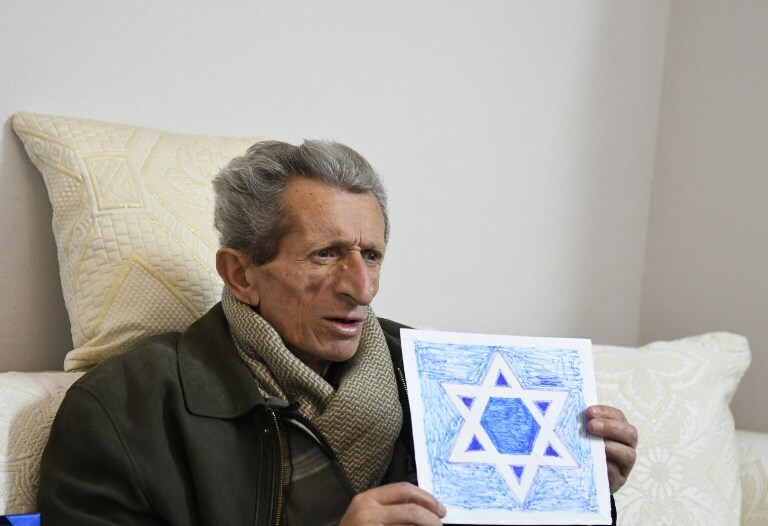 It wasn’t until after the fall of communism that the stories of the role played by Albanians in protecting Jews came to light. Today some 75 Albanians are recognized as part of the Righteous Among The Nations — those who took great risks to save Jews during the Holocaust. The history is a growing source of pride in Albania, where the government holds annual events on Holocaust Remembrance Day and devotes an exhibit to the history in Tirana’s national museum. But Vrusho’s museum is the only standalone center dedicated to the sweep of Jewish history in that corner of Southeastern Europe. “It took him a lifetime,” she said through tears.